With a fixed monthly rate, students have access to all Dao Lu’s classes. Even if you attend only one class per week, that equates to just £5.77 per class. Most Dao Lu students attend two or more classes per week, making it under £3 per session. You can mix and match as you like – just turn up. Some classes are term-based, so have fewer sessions per year. However, these classes generally have higher hall charges, so the real cost of the classes is spread over the entire year. For the special case of any students taking only one term-based class, the ASF is included. All Dao Lu regular classes are included – though obviously, some where there are restrictions, such as women-only, this still applies. Occasionally Dao Lu may start non-regular classes with a view to them possibly becoming regular classes if successful. During the initial non-regular period, class specific fees may apply, to ensure the class is viable during this period. 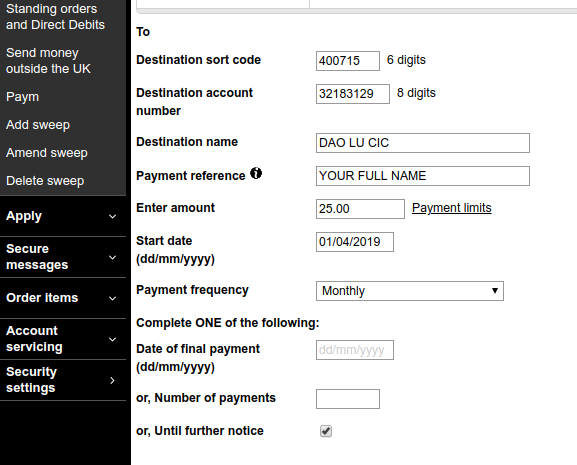 For those who have a bespoke payment plan agreed with Dao Lu, please set up your payment accordingly. Dao Lu CIC is a community based organisation. We do not wish any students to be prevented from attending classes due to inability to afford the fees. In this case, please contact one of the Dao Lu board members (see here) to arrange a bespoke payment plan. Your arrangement will remain confidential within the Dao Lu board. See this page for an overview of classes available at Dao Lu for all levels. 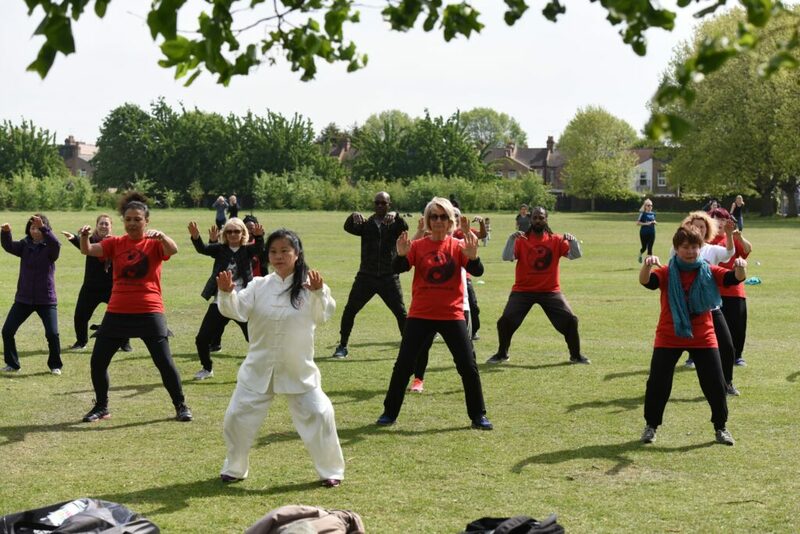 Please note Dao Lu instructors tend to teach mixed levels within each class because students tend to be very different in their abilities and needs. If you have online or telephone banking, you should be able to setup a standing order there. The reference should be your full name – if that’s too long, use your surname and initials. If you don’t have online banking, please download this standing order form, fill it in and take it to your bank.